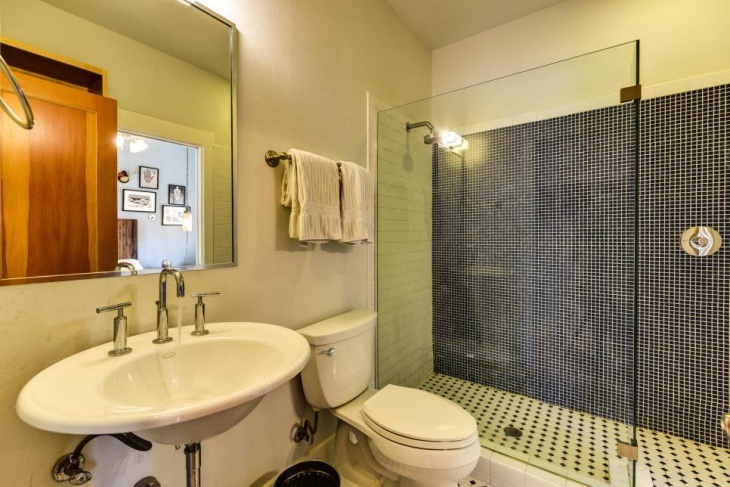 When it comes to housing, bathrooms turn out to be one of the most private chambers. 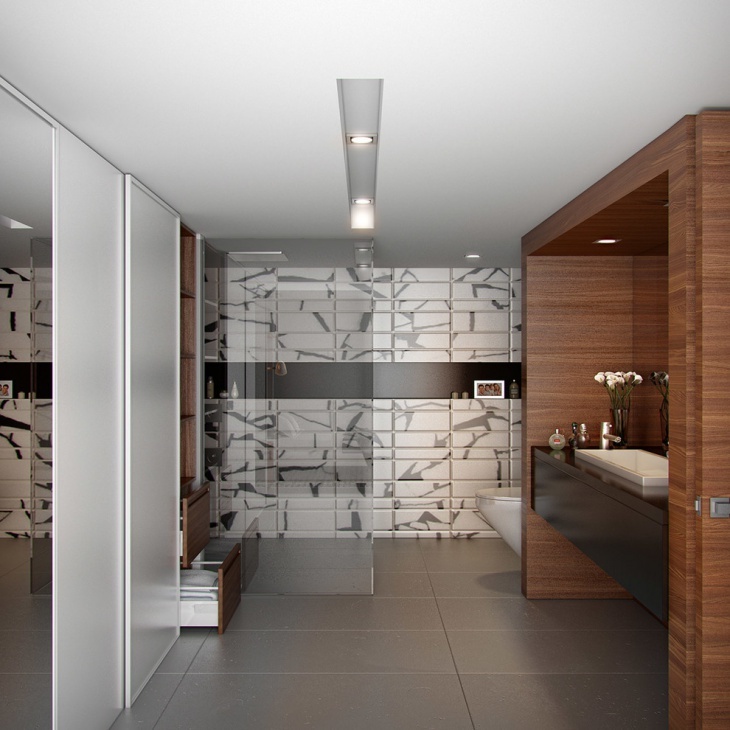 People tend to personalise their bathroom designs according to their tastes and requirements. 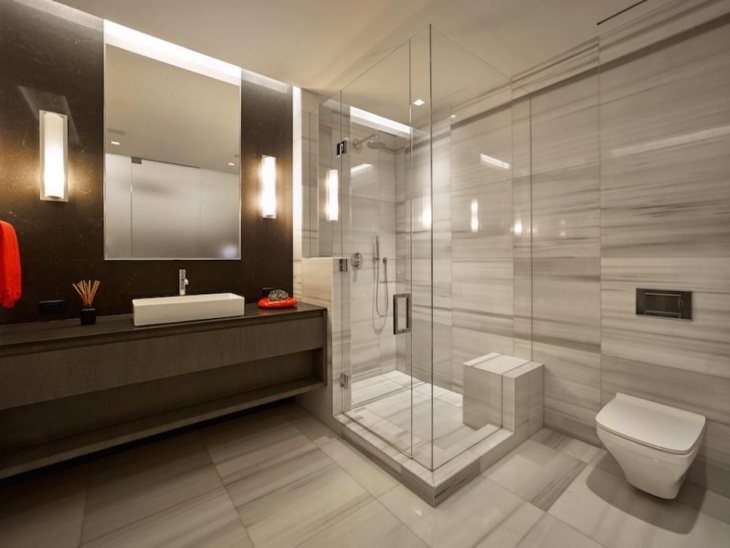 While the general trend is to design the bathroom in lines essential features, people also love to get luxurious interiors in modern bathrooms. Here are ten modern bathroom design ideas that you will find elegant, and you can incorporate any of these in your home when you plan to tailor your requirements. 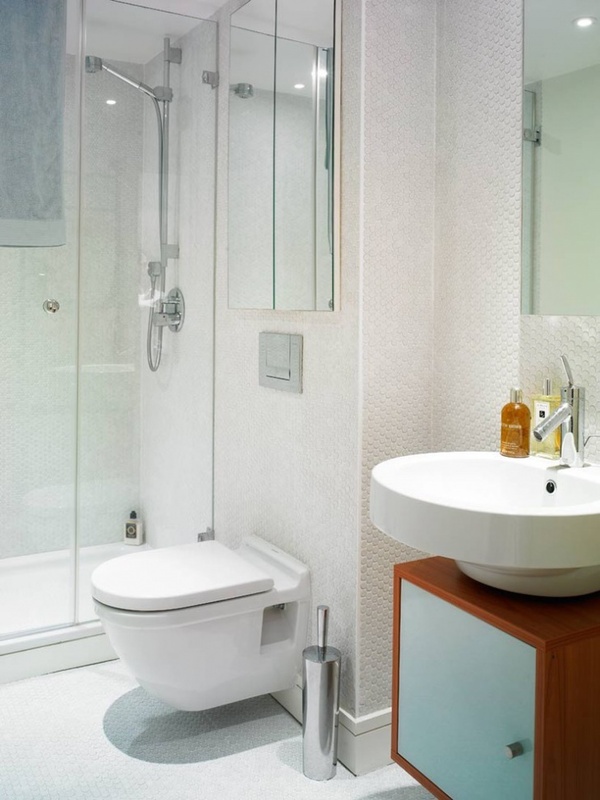 If you have a small bathroom, you can make optimum utility of space by placing a cabinet under the sink. 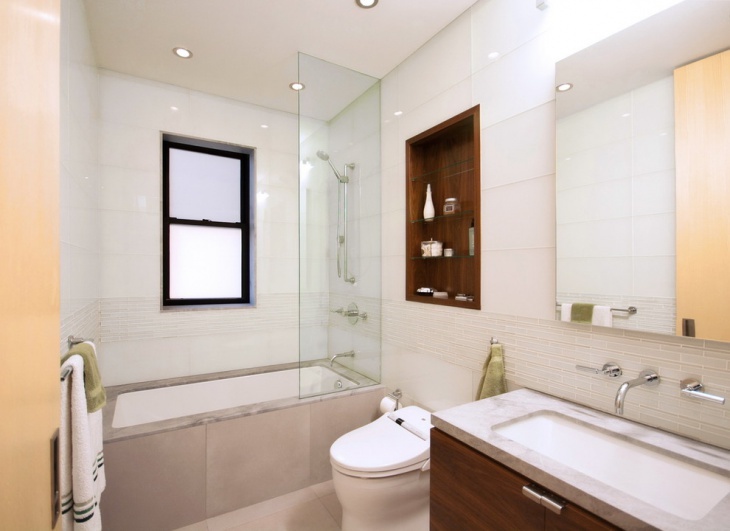 Go for the white theme in the bathroom, and the shower screen goes well with the square bathroom mirrors. So, you will find a perfect parity between the white floors and walls, along with the wooden cabinet. When you switch to the mid-century bathroom design, the sloping wooden ceiling looks elegant with the beige floor tiles. 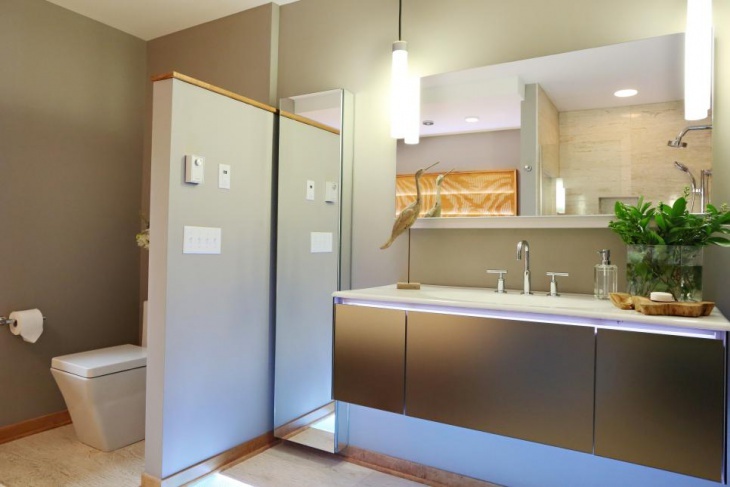 The mirrored walls look compatible to the interior setting with a freestanding tub. There are decks under the mirror, and the white color of these decks complement the porcelain tub. 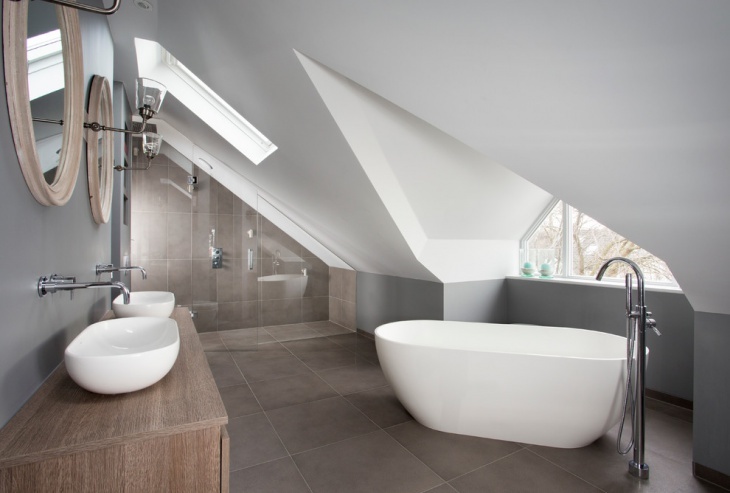 A modern bathroom often looks beautiful with skylight, especially if you have white walls. The flooring is done with white marble tiles and the crystalline shower screen looks elegant with the setting. 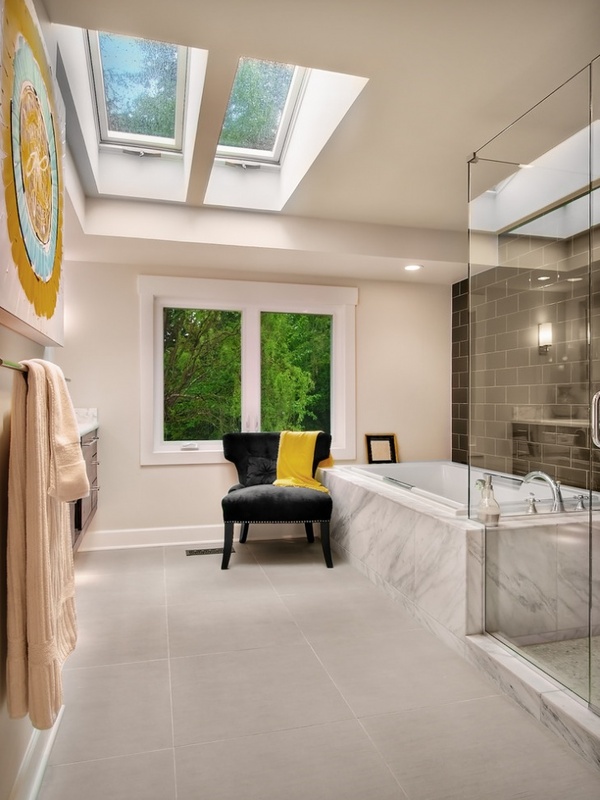 Fix small pendant lights on the ceiling, and the white window frames look sophisticated with this bathroom design. This bathroom has been designed like the interior of a spa. There are steps leading to the bathtub, and the step-up tub looks elegant with the wooden cabinets near the floor. Frosted glass goes well with this setting, and you can opt for light brown tiles for the floor to create an element of contrast. 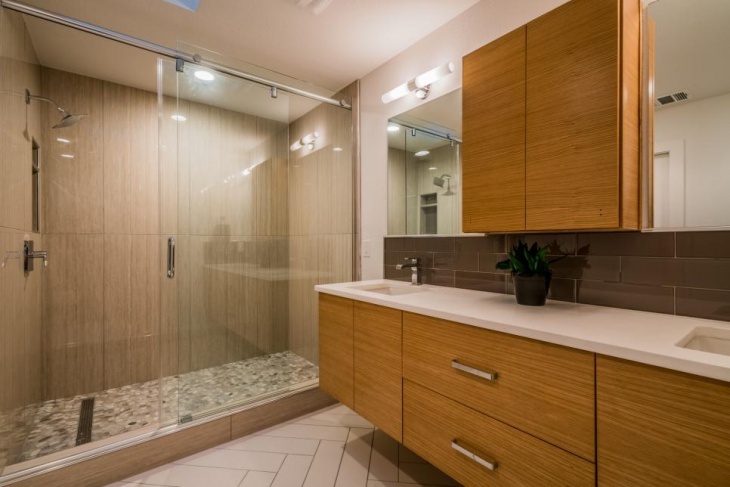 Minimalist bathroom idea indicates that you need to limit the number of accessories to the minimum, and you can do with just a shower screen and bath chamber, along with medium tone wood cabinets. There are square mirrors in the room, and these look elegant with the white walls of the bathroom. The black and white color combination enjoys a good compatibility, and you can have a black textured wall to make a difference in the trending living pattern. The river-rock theme on the wall complements the white accessories and sinks. Go for a matching combination for the floor to get an elegant look. Guest bathrooms are ought to be sophisticated, and you need white subway tiles for the white walls. 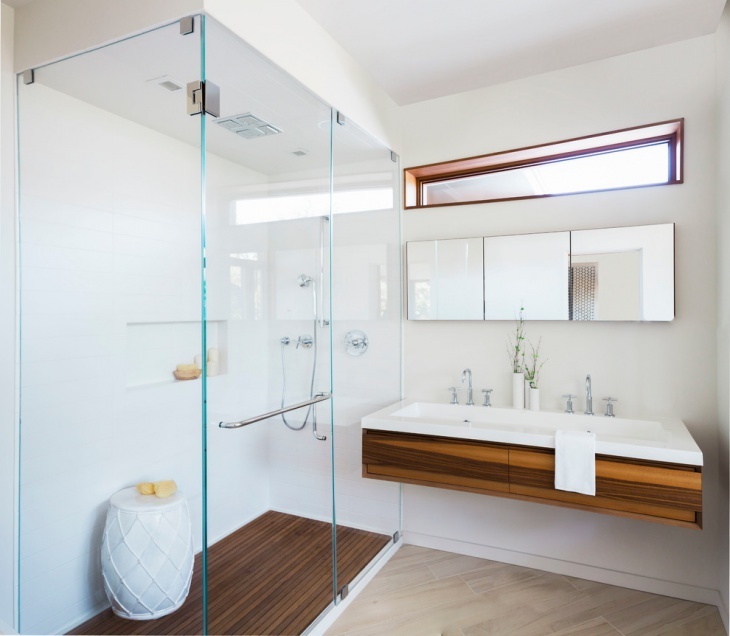 Along with these, the frameless glass tub enclosure goes well with the bathroom, and you can buy light wooden furniture to place the required accessories in the bathroom. The corner skylight looks beautiful here. 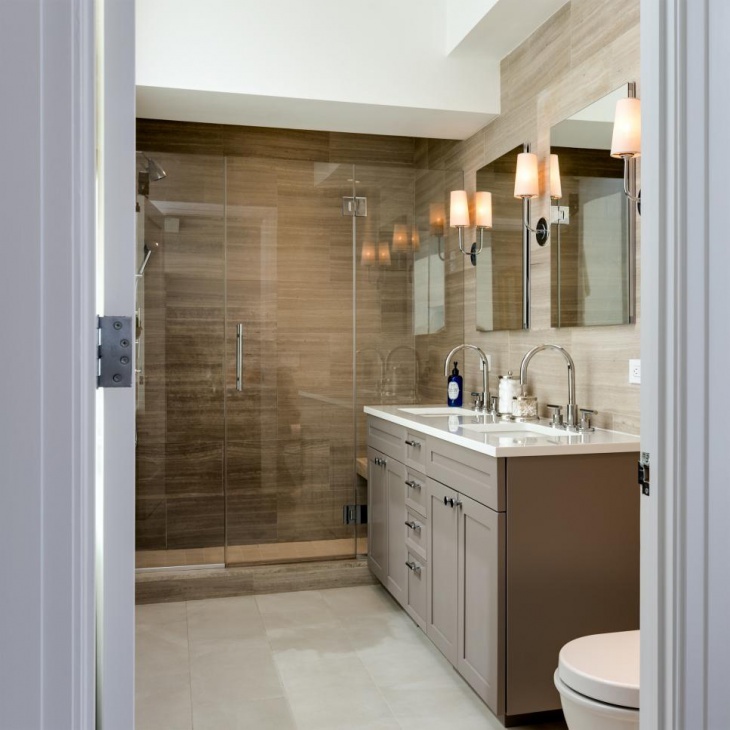 If you choose the modern zen bathroom for your home, you can incorporate a walk-in shower in it. It goes well with the flat panel cabinets, with a dark wooden exterior. The quartzite countertops look classy with the wooden frame around it. Opt for white sinks to complement the white walls in the room. 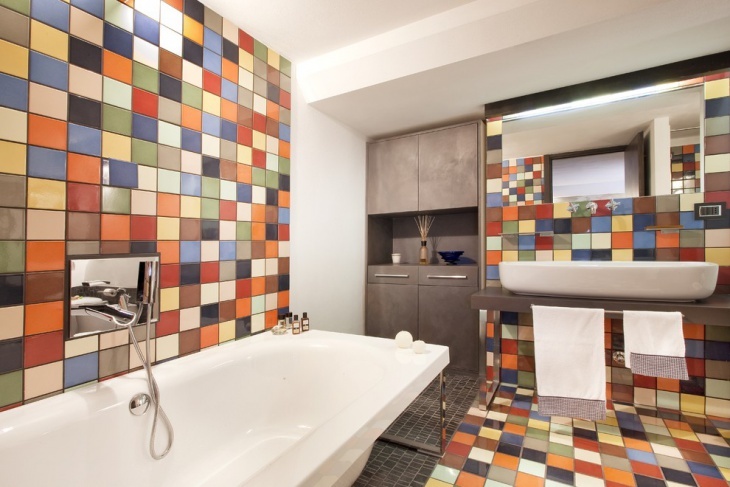 If you want to personalise the bathroom for kids, you can opt for colorful tiles for the walls. It is a funky bathroom with white accessories. The stainless steel cabinets add a good contrast to the room. The stacked tiles look elegant and beautiful. People with creative minds innovate modern bathroom design themes for their own home, and these are personalised according to specific utility features. You need to pay due attention to lighting, flooring and wall colours to get a compatible interior. If you come up with a new bathroom design theme, feel free to share it with us.